Insys Therapeutics stock gave Money Morning readers nearly 26% gains in just 12 trading sessions after Money Morning Executive Editor Bill Patalon recommended buying the stock on May 15. He recommended the stock before the Food and Drug Administration (FDA) gave the company final approval for its new drug on May 24. And this approval is just the beginning of big profits with Insys Therapeutics Inc. (Nasdaq: INSY). If you missed the gains last month, it's not too late to profit from Insys stock. Right now, we've been presented with another great buying point after "news" created unwarranted panic-selling in the last week. On Sunday, June 4, Megyn Kelly aired a damaging story about a former Insys business practice where company officials bribed doctors to prescribe opioid pain killers. The story appeared on her new show "Sunday Night with Megyn Kelly." The negative news this week has done nothing to dampen the company's prospects. On May 24, Insys cleared the last FDA hurtle to bring its drug Syndros to market. Syndros is a cannabis-derived drug that treats nausea in chemotherapy patients and anorexia in AIDS patients. According to the National Cancer Institute, there were almost 15 million people with cancer in the United States in 2014. Of those patients, 80% suffer from chemotherapy-induced nausea and vomiting. 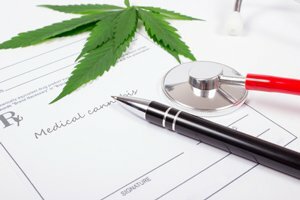 This makes Syndros' potential market roughly 12 million patients. This is in addition to the company's breakthrough pain spray, Subsys. Subsys is the only treatment FDA approved for breakthrough pain in cancer patients. Sales of the drug to Insys' four largest wholesale clients amounted to $22 million for Q1 of 2017. Another $11 million in sales of Subsys was made to specialty pharmaceutical retailers for the quarter. Plus, Insys is working on six more treatments. Two are in phase 3 trials, while the remaining four are in phase 2 trials. more bad new will be coming so buyer beware this stock will plunge and soon insys will sell..